Brief Story of Facebook v Facebook ka founder he Mark zuckerbeg. 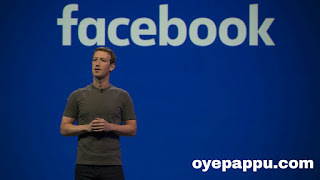 Facebook ko banaya gya tha 2013 me as a game jiska nam tha Facemash jisse Mark zuckerberg and Eduardo saverin milkar banaya tha wo dono HarvArd university me roommates they.Facebook ka invent hua tha as a game jaha log 2 logo ki photo ko compare kar sakte they and comment krke bata sakte they HOT OR NOT. Facemash.com banane k bad wo website sirf unke college pe hi log use kia krte they dhire dhire wo popular hone lge they lekin uske bad facebook ko band krna pra tha kyuki college se order aya tha and unko zurmana v varna para tha eisi website college pe viral krne k liye. Lekin dhire dhire bad me sab thik hone lge and mark ne facemash ko facebook banane me koi kasar nhi chora . dhire dhire unka users jyada hone lge aur aj ki iss tarik pe toh bacche se baccha and budhe se budha v facebook use karne lage hain. Facebook basically 4 february 2004 ko launch kia gya tha but facebook ka invention pehele hi ho gya tha 2013 me. Ajkal facebook ka users din ba din increase ho rha he sabhi facebook k sath judh rhe hain. India me jyada tar log internet ki duniya se banchit they lekin JIO ane k bad sabhi internet chalana sikh gya he. Jio ne cheap price me data,call,sms ka bundle offer deke sabhi ko jio use krne me majbur kr diya hain. And sabhi internet ki duniya me ate hi facebook sign up toh krte hi hain. Facebook me account banana bohot hi easy he apko sirf facebook.com me jake sign up karna he sign up karne k liye apko sirf 1 e-mail id yafir 1 valid mobile number chahiye hoga oha pe jake apko sign up pe click krna hoga fir apko apna voter id wala nam yafir birth cirtificate wala nam enter krna hoga apna pura biodata dalna hoga jaise ki ap ka gender,date of birth, hometown, city, country, your qualification etc etc. uske bad apko 1 unique sa password create krna hoga jo alphabet, numeric number, and symbols se bana ho . fir password ko varify krna hoga uske bad apka dala hua mobile number yafir e-mail id pr 1 varification code yafir OTP(one time password) jayega usko apko enter klrna he fir apko sign up par click kar dena he apka facebook account create ho jayega uske bad sirf apko kuch friends ko friend request send krna he bas apka account ready he .. kuch simple sa step follow karke hi ap facebook log in k jariye pura duniya se jur sakte he. Facebook.com 1 eisa platform he jaha pe koi v kisike sath v bat kr sakte he pehele toh sirf text chatting kia ja sakta tha but abhi toh video calling ka v features aa gya he facebook messanger pe jiske chalte ap video calling v kar sakte hain. Facebook.com pe kuch log itna ghus jate hain ki sara din facebook.com pe hi lge rehete hain but ye acchi bat nhi hoti facebook ki bahar v 1 duniya hain jisko enjoy krna chahiye naki facebook pe hi sara friend bana lo and unse hi cahtting krte raho. Facebook ane se pehele log ek dusre ko pasand krne k babujut unko bata nhi pate they ki wo unko pyar karte hain yafir unko pasand karte hain but facebook ane k bad log kisiko v propose krne se piche nhi hathte hain chahe wo proposal kisi v bat k liye ho chahe ho saadi ki proposal ho yafir kuch aur . Facebook kuch logo ki duniya badal diya he kuch kuch couples ki toh saadi v facebook ki wajah se hui he . Facebook pe jan pehechan badi fir bat agee badhi fir saadi tak baat pohuch gya toh facebook ki wajah se bohot se logo ki bhala v hua and bohot se logo ko nuksan v hua .